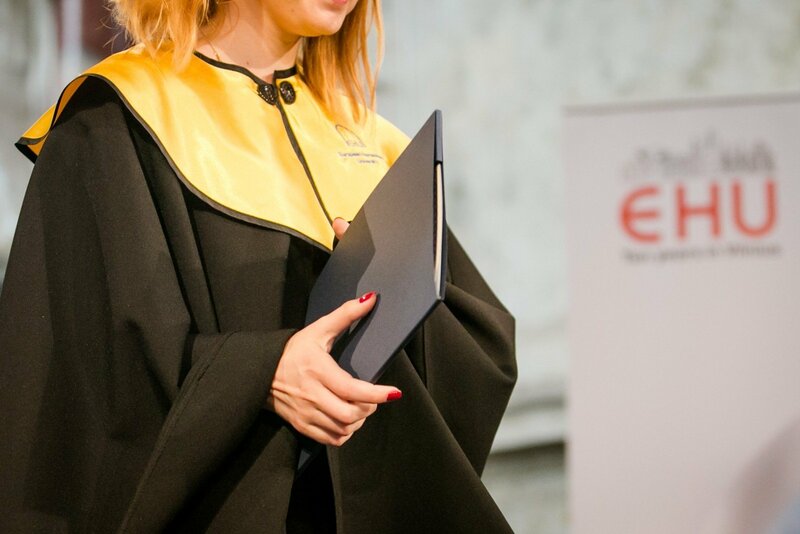 The European Union (EU) will for now continue support to the European Humanities University (EHU), a Belarusian university operating in exile in Vilnius that has recently drawn a negative expert conclusion. "The European Union has signed an agreement with the Swedish International Development Cooperation Agency (SIDA) that is in effect until October of 2019 and that envisages support to the European Humanities University. The European Union will pass a position on further funding based on changes within the next 18 months and the agreement with the Center of Quality Assessment of Higher Education," Agne Kazlauskaitė, the head of the media relations group at the European Commission's mission in Lithuania, told BNS. She noted that EHU had launched major reforms over the past years and would continue them, therefore, "positive results" were expected. After the Center of Quality Assessment of Higher Education (SKVC) gave a negative assessment of EHU operations last December, it said the conclusion provided grounds for "revoking the authorization to deliver studies and carry out activities related to studies." In 2014, EHU also got a negative conclusion, the university was accredited for three years only. The latest conclusion gives a negative grade to EHU strategic management and (or) art operations. EHU said it disagreed with the negative institutional assessment results. According to the top management, the 2015-2017 reforms had a major effect on development of the university's strategic management, studies and research, a conclusion also drawn by the university's donors at a donor conference last November. The university said it had also made an official offer to the Education and Science Ministry on a mutually-acceptable deal that would enable the Belarusian university to continue operations in Vilnius. Lithuania's Education and Science Vice-Minister Giedrius Viliūnas says that a decision on the fate of the university would be made by the end of February. The EHU is a private university that was established in Minsk in 1992, but was later closed down by Belarus' authorities. Reopened in Vilnius in 2004, it enrolls nearly 800 students, including 95 percent from Belarus.